Thought Balloons - Creating Comics One Page At A Time: Why Avatar? Only one can master all four elements – The Avatar! Back in 2005, Nickelodeon debuted an animated series created by Michael DiMartino and Bryan Konietzko called Avatar: The Last Airbender. It was set in a fantastical world where special individuals commonly referred to as Benders had the power to control one of the four classical elements. 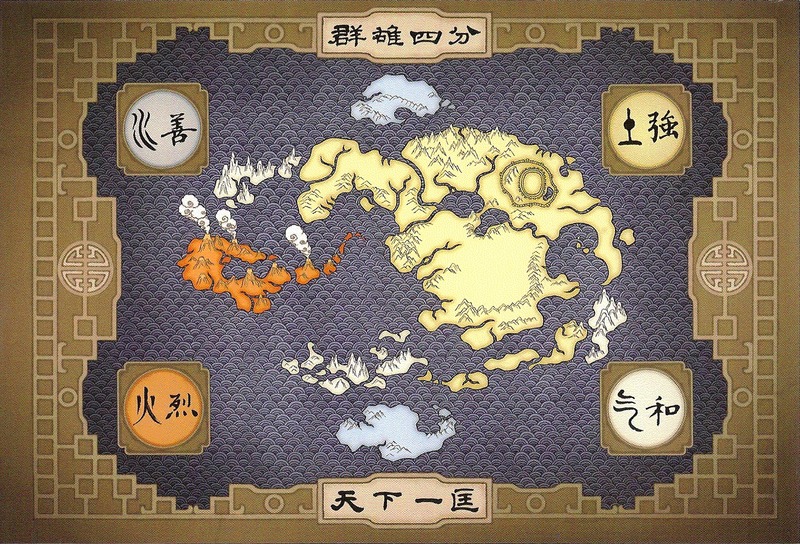 One such individual known as the Avatar, who was born with the Avatar Spirit after the last one passed away, was special in that they had not just the power to learn how to control all four elements, but served as go-between for both the human world and the spirit world that it existed just short of right next to. The Avatar was then tasked to use this power to ‘bring balance’ to the world, which often involved serving as some kind of mix between a one-person United Nations (if the United Nations wasn’t an ineffectual mess 99% of the time) and The Pope. Alternatively, to quote the short-lived abridged series, they’re “Kung-Fu Action Jesus”. Their words, not mine. It was a pretty great series that picked up a pretty devoted fanbase for a good reason. Aside from having spectacular writing and great characters, the show did a phenomenal job with its world building that was heavily inspired by various Asian culture and mythology. Even the hallmark super-powered elemental kung-fu fighting styles draw directly from real-life martial arts. The end result was a world with untapped potential the likes of which you don’t find very often. Except there was a problem – For whatever reason, it’s also a property that Nickelodeon doesn’t seem to know what to do with, which seems to have created a very love-hate relationship. On the one hand, they followed up with a live-action movie, sequel comics to the series, and a full-on sequel series in the form of Legend of Korra. On the other hand, the movie was a mess, Legend of Korra has suffered from all number of mixed signals from Nickelodeon, and who can say what the future holds for the comics? Which is why, aside from future trade paperbacks, this coming Friday’s series finale for Legend of Korra may be the last major addition we ever see to the Avatar franchise. So it seemed like a good time to put our own stamps on the series before it may well go away for good. With thousands of years worth of history to play in and plenty of characters to work with if you don’t feel like creating your own, it should be no problem finding something to write about. Including for anyone who’d like to play along at home – just go ahead and put your own one-page script in the comments section below!